SEO has several aspects that you need to focus on. Others think that web design is just concerned about the appearance of the page. However, SEO web design should also focus on how to maximize your page for the use and benefit of your site visitors. The design of your page can make or break the visit of your potential clients. In turn, this can determine your bounce rate. You are now climbing up the ranks of major search engines. However, if your bounce rate is high, chances are you would not be able to go any further. This is why it is important to use web design and page optimization to help with your SEO. Find out more about the importance of an SEO web design in the article below. 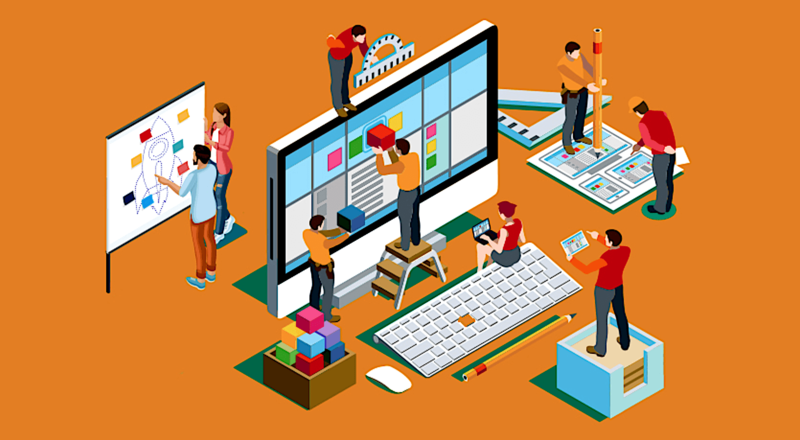 When it comes to web design, other clients may think that a flashy website will earn them better traffic and Google ranking. There are websites that may look visually appealing However, Google may not be able to grant them a high ranking as the page is not SEO optimized. If you want to maximize the SEO of your website, it is important that it comes with a mobile-friendly design. With a mobile-friendly design, the page can be viewed through all platforms of technology. Since almost everyone has a Smartphone now, everyone prefers web surfing through their mobile phones. Fewer people have been using their laptops for casual web surfing. When one’s page is not mobile friendly, readers can leave the page immediately. This would result in a higher bounce rate since it would not be convenient for the readers to surf through the page. If one creates an inquiry over their mobile phone, Google will likely display pages that have a mobile-friendly design. Jessica Jones of Digital Next has stated the importance of having a mobile-friendly design, “If your customer can access your website easily on all platforms, they’re more likely to return to you for more business in the future and it more than likely means a higher conversion rate for your website. In a world where so much traffic comes from mobile devices, it’s important that you’re accommodating this factor through your website. Responsive web design is now also important as a ranking factor, as mentioned earlier. Sites that are responsive will generally load faster which is likely to boost your ranking and decrease your bounce rate. Responsive web design can also make social sharing easier, helping you to grow a bigger audience for your brand. When it comes to a webpage’s content, texts are not the only factor that should be SEO optimized. In fact, the images on the page should be created in a manner that is in compliance with proper SEO practices. In order for the image to be optimized, it is important that the images are compressed to ensure that it does not overly saturate the website. This is why it is important that there are not too many images on one website. One benefit of limiting the images on one’s page is that it provides flexibility when it comes to editing. In terms of web design, it is more important to make sure that the page is professional looking. On the contrary, flashy designs that are not SEO optimized would not be read by Google. This is why it is important to put your faith in companies that have years of experience when it comes to SEO marketing. While the importance of a dedicated IP for SEO purposes has long been debated, it is important to understand that this is up to the preference of the user. One of the benefits of having a dedicated IP address is ensuring that the performance and speed of your page will be optimized well. This is because the resources are dedicated solely to the website. When the page is able to load faster, the page will have a higher ranking with Google due to the positive effects of speed on one’s SERP or Search Engine Ranking Position. Another benefit to having a dedicated IP address is the added security that it grants you. This prevents you from being associated with any websites that can pose a potential threat due to the presence of malware. The answer to this question is simple. If your page allows for online payment, get an HTTPS address. This is because this is part of a regulation that requires online payments to be made through a secure address. While HTTPS addresses can be costly, it also provides better SEO benefits. The heading is the first part of the website that Google will recognize. It is important the heading contains the main keyword to ensure that it can be easily recognized. When it comes to heading tags, it is important to limit the H1 tags to a minimum. This is to prevent the page from being recognized as spam. However, when it comes to the other heading tags, one can use it multiple times. Although be wary of overusing it as it can be mistaken as spamming when used in an irresponsible manner. It is also important to follow the hierarchy for the heading tag. This is to ensure that the headers are ranked positively for SEO marketing. In order to ensure that the tile tag is beneficial for SEO, it must be placed in an optimal location in the phrase with the maximum characters that is ideal for the length. When it comes to the title, it is important to remember one concept: KISS or Keep It Short and Simple. With a shorter title, it is easier to get to the point. The readers will be able to find out immediately what the topic is about. A lengthy title has a higher chance of being cut off during a search, which means that the reader will become unsure about what the page is about. This is why it is important to put the main keyword in the first part of the title. When the keyword is placed earlier on the title, it is easier to prevent it from being cut off during display. The importance of the meta tag may be minimal. However, it can be used as a ranking factor when everything else is equal between two websites. It is important to pay attention to the little details since this can make or break one’s ranking. When creating a meta tag description, it is important to include the main keywords on the earlier part of the description. This is to ensure that it can be able to properly display the content. Moreover, when it is on the Google page, the meta tag description will show the relevance of the content to the keyword search. As we have previously discussed in one of our blog entries, “SEO newbies would only pay attention to the body of the content that they create. However, when creating content, you should also pay attention to every portion of the post. If you do not put in the keyword in the title, heading, meta description, and URL of the article, your ranking can go lower. The importance of setting up the main keyword is also important even when it comes to web design. This is because the texts included in the design should be SEO optimized. When it comes to an online business, one should be able to find the main keyword that is profitable for the niche that they want to rank for. 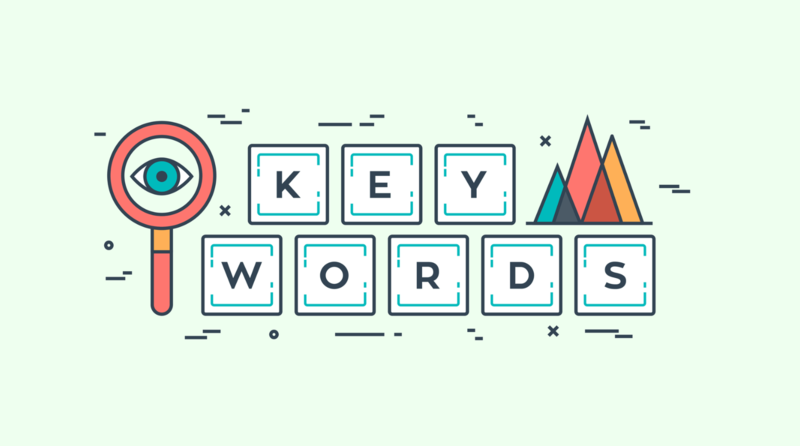 Each niche has a different set of profitable keywords, which is why it is important to set the main keyword to rank for. For an online business to be successful, it is important that the clients are able to find it. When one wants to be on top of search engines, it is important that they know what the clients are looking for in the specific niche. It is important that when a client types in your main keyword, they will be able to find you immediately. SEO marketing strategies are similar to a yellow page directory. 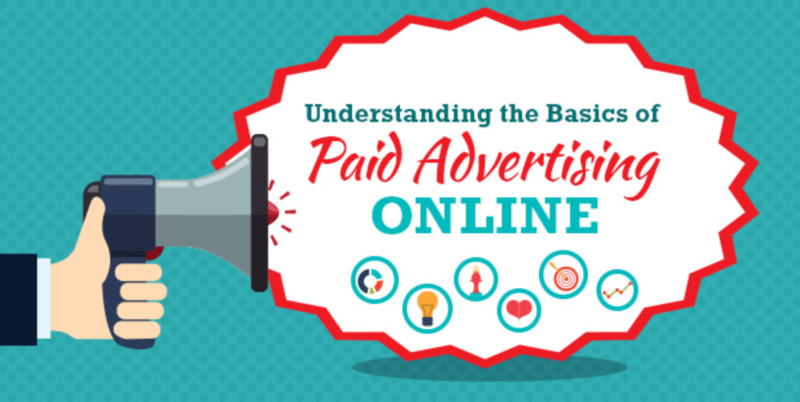 When one pays a premium, they can get bigger advertisements that easily catch the eyes of potential clients. On the contrary, when one does not do SEO, their page is simply mixed in with the rest. Apart from the main keyword, one should also be wary of the corresponding relevant keywords. While there are related keywords that are more searched, it does not necessarily mean that they are related to the main keyword. For example, one can be in the business of selling liquid eyeliner. The most popular related keyword for it is “eyeliner stamp.” The keyword is not entirely appealing to the target audience of the business, which is why it lacks relevance for the said search. The importance of choosing a relevant keyword provides the benefit of being able to be found in a pool of webpages vying for the same first-page ranking. When related keywords are coupled with the main keyword, it is easier to cover a lot of ground when doing SEO marketing strategies. Once the main keyword has been set, it is easier to create a content that optimizes the main keyword. As several memes have suggested, “If it is not in the first page of Google, it does not exist.” This is why it important to rank ahead of everybody. When you are on the first page of Google, your site traffic will increase greatly. When one has already set a keyword, one can apply SEO practices to ensure that they have a better chance at a first-page ranking with Google. If the website is found on Google’s first page, it means that they are on the map. This is due to the increase in online visibility of the page. In the creation of any website for that instance, it is the goal of the site owner to rank in Google. The first step in garnering a better ranking with Google is to have the main keyword that you can revolve your SEO practices on. When it comes to your SEO, it is important to cover all areas possible. We have realized the value of web design a long time ago. Your page would not stand on content alone. This is why it is important that you pay attention to every aspect of your SEO marketing strategy. If you want to save up on time, cost, and effort, you can seek the help of the best SEO companies in your area. SEO Miami can help you when it comes to web design and page optimization for your SEO marketing strategy. You can just give us a call or send us a message and we will get back to you right away.